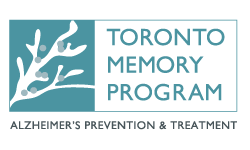 The Alzheimer Society of Toronto provides free counselling and education to people with Alzheimer’s disease and other dementias, their families and caregivers. We deliver specialized training and professional development for frontline health-care providers, and public education and awareness events to increase accessibility to dementia information. Alzheimer’s disease is a progressive, degenerative disease of the brain, which causes thinking and memory to become seriously impaired. It is the most common form of dementia.